In a technology industry, companies rely on a different strategy for referral marketing. Every solution begins with a question on current problems. Therefore, in the initial level, problem identification is required along with a persistent follow-up. Finally, advantage of this method can be realized before initiating the referral marketing campaign by the tech companies. Find an elaboration on referral marketing campaign for technology industry hereon. Here, the element of trust can apply to any industry when it comes to referral marketing. We are discussing about a traditional criterion, which can be helpful to create a meaningful referral marketing campaign, especially for the technology industry. Additionally, we can refer to different case studies based on traditional methods. 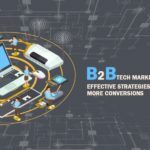 Marketing consultants and digital marketing professionals with such references in the technology industry are gaining with the new age referral marketing. But there are cautionary measures undertaken; hence, there will be no loss of trust. Trust remains in sharing of appropriate information; otherwise, online users ignore and seek for non-continuance immediately. Also, time is essential in the process of referral marketing. Otherwise, it becomes an attempt without proper results in the technology industry. A problem can be categorized as a primary and secondary problem in referral marketing for the technology industry. We need to identify the problematic and non-laborious tasks in referral marketing. (i) The primary problem in the technology industry considering referral marketing relies on the website appropriateness and participation numbers. (ii) Many customers in the technology industry probably do not consider participating in a referral marketing campaign. (iii) In this regard, without the right product and not proper services in the line campaigning for a referral marketing becomes pointless in the technology industry. Targets, especially for referrals, should not be impossible or difficult to achieve. A company website with separate identifiable section is basically to invite or view customers’ participation and to augment this whole business performance. A marketing team may consider the profile of customers or a standard group based on age, levels of income, interest, professional information like nature of the company and also their hobbies. A secondary problem relates to means of marketing in the referral marketing stream. The whole process is to be in contact with the respective customers, who are chosen or listed under referral marketing, and those who are registered under referrals need to be priory informed mentioning the benefits. Also, related rewards can be selected from for related marketing businesses in the technology industry. (i) In a simple sense, there should not be any doubt in this regard. There should be a clear statement expressing about lead generation or for sales conversion with referral marketing. Henceforth, in this case, it is better to augment the relation in the technology industry, especially with the company by enquiring them to signify the rate of the particular product or related newsletters. (ii) When discussing the campaign exclusively for the technology industry, unique methods need to be applied in referral marketing and this is quiet tedious. In this case, appropriate care to be taken and to be expressed to every new customer through emails or a conventional telephonic calling. Because, in this case, it may be embarrassing for the customer, who is a recipient of the information. This becomes the ethic spoil nature of an individual, who had sent the info when worked with referral marketing. When discussing a reward, it should be made in a time-bound manner. Meaning, it should be slotted in the same week or needs to be arranged for the successive month as worked for a referral marketing campaign. But, when the rewards are not executed at an appropriate time, or not provided, then, in that very case, the technology industry will be perceived for the distrustful act, and it may have to go for the cessation of the business without any possibility in future. We need to choose contemporary methods for referral marketing and not reckon with the earlier techniques completely. It is because current methods are fast, and high ROI can be expected. It has been found that the company’s team, who manages to execute referral marketing, has made savings on traditional methods. In the customer’s end, they feel immense happy because they are recognized and rewarded and will also prefer sharing those rewards with their social circle or friends. Click here to check some efficient referral marketing software. Big data are also being opted to deliver better results. With the growth in the technology, many of the applications of referral marketing can be chosen for the company’s website, business social platform, hand–phones and emails. All of these primarily to automate those campaigns to the right audience. You can also read How to retain customers effectively. Enquiring for referrals by companies themselves, is believed to be ‘low’ with the customer. Visibility happens over websites, online videos, which in turn, aids the company to gain references, especially from people, who are not a company’s customers at first. Though there are many referral marketing software, it is advisable to have a fundamental knowledge before initiating. Furthermore, it is always important to evaluate the final results of the respective campaign before making a step to a different level. Apart monetary or non-monetary benefits, it improves the relationship between a business and a customer. The respective organization needs to consider the norms of quality, creative pursuits and also augment the perception about the technology industry to a higher level. In reality, there are few technology companies, which make zero investment. However, it improves over some time, with mere referrals gained from the customers in referral marketing processes. These may have been acquired from relying partners, specialized groups or any business associates. Nowadays, many companies are even considering referral marketing software, mainly, to minimize the time to gain success. In the present world, if we question ourselves, who are benefitted from this type of marketing? There goes the big list- magazines with a particular short code, a medical organization with partnering, trading companies and many more. Herein, interestingly, it is suited for two categories in broader terms, like, B2B as well as B2C in consideration of the technology industry. Bottom-line is that we need to make an effective modern approach to this marketing form as mentioned earlier in this infographic. Proper planning and trust help in maintaining long term customer relationship. Referral marketing strategy is considered with theoretical aspects and traditional approach especially in the technology industry, but with a proper backing of the modern methods. In the technology industry, there needs to be a consistent decision making, when implementing the referral marketing because, trends and expectation of the customers relying on technology industry amend over time, but the basic principles followed in practice remains the same. Richard K Powers is a content writer by profession with a great love for reading novels. He is a well-known content writer of recent times. The blogs which he writes are trending in social media. Writing has been in his blood since his childhood and feels lucky enough to be practicing that as his profession. He believes in the power of bombarding words and convincing content that can change the future of content writing. Music and nature are his constant source of inspiration.